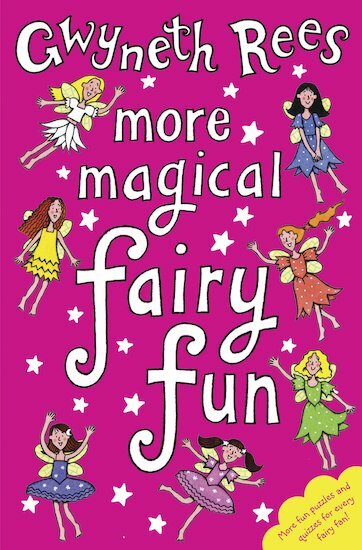 Fairies have the best, best times – so join them for some fun! This gorgeous book is packed with jokes, quizzes, puzzles and things to make and do, brought to you by your favourite characters from Gwyneth Rees’s magical stories. Grab your magic wand and flutter off to Fairyland, where all your favourite fairies are coming out to play! It was a fun book to read and I enjoyed every part of it it was the only time I laughed so much plus it was full of exitement so I have to say it is my second favourite book plus I love book’s that include fairy’s. Great puzzles and fun forever. Follows the ‘Fairies’ series and is fantastic.